As with last year’s edition of this post, feel free to stop reading now if you don’t want to read fantasy team analysis of a league that you’re not necessarily in. I know that really grates some people, and I understand. For those of you who do play fantasy, I’ll try to talk about who was available and who I had to choose from for each pick so you can get a context of the decisions I made. Hitting: Runs, HRs, RBIs, SBs, Batting Average and OPS. Pitching: Wins, Saves, K’s, ERA, WHIP and Holds. Last year we had Losses as a category instead of Holds but too many of the league hated the Losses category, but wanted to keep OPS as a 6th category. So we’ve introduced Holds as a category for the 2012 season. I proposed this but rather inadvertantly; my strategy going into this 2012 season was going to be to go after the exact type of pitcher who normally gets holds; the setup-guy, the excellent specialized reliever who pitchers 60-70 innings but gets 70-80 K’s with excellent ERAs and WHIPs. With no Losses to worry about, the value of holding any type of pitcher increased over last year’s edition of the league. The only downside was that we are also introducing a transaction limit for the season (65 over the 21 week season). So picking good arms early will be crucial. We added an 11th and 12th team to the league at the last minute, two newer guys to fantasy baseball who made some “interesting” picks throughout the night. I was picking 1st out of the 12 in a typical snake draft order. Get the minimum number of hitters, and get them early to get the best players available. Focus on Homers. Homers lead to Runs and RBIs, 3 of your 6 offensive categories. Get a couple of top end starters early, then spend the entire 2nd half of the draft on pitching. Focus on NL, high K/9 starters only. Get a high end closer if they’re available, but don’t over spend. Focus on the high-end Holds leaders and setup guys, getting guys who can close in a pinch. What became apparent about 5 rounds into the draft is the disservice of drafting 1st (or last) in such a huge league; if a run starts on a position, you have almost no chance of getting any of the top guys. Catchers, top-end Holds guys and top-end Closers all had major runs without my even getting a consideration to get a pick in. Once all the top closers were gone, I decided not to scrounge for saves, at all. If a guy like Rodriguez or Holland becomes a closer and I get free saves, all the better. But what I really want are low ERA, low WHIP innings all week that help lower the overall team ERA/WHIP. Below are my round-by-round picks. Yahoo O-Ranks are given; this is Yahoo’s rank for the player for the 2012 season. Average Draft Rank (ADR) is listed as per MockDraftCentral’s ratings, though honestly after the Holds guys start going off the board the ADR is mostly useless. Plus ADR reports are based on the classic 5×5 league, not the 6×6 league that we’re doing. But it does illustrate some of the over-drafts and/or value picks I got. 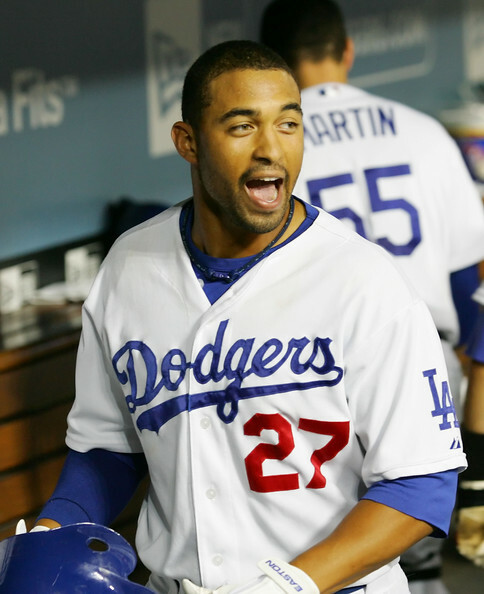 Matt Kemp: (Yahoo #2, ADR #2) With the first overall pick I really was choosing between Kemp and Miguel Cabrera. I liked Cabrera because he’ll be gaining positional flexibility at 3B, a relatively thin position. I also like Cabrera because he’s gaining Prince Fielder to provide lineup protection. However; Kemp was the #1 producer last season, had 39 Hrs to Cabrera’s 30 and threw in 40 steals for good measure. I think Kemp is the best player in baseball and I see no reason that he won’t at least repeat his (near) 40/40 performance. With the understanding that I’ll be missing most of the high end infielders by virtue of not picking again until the 23rd overall pick, I take Kemp. Cabrera’s grounder to the face just a few hours before the draft didn’t really factor into the decision. Ironically Ryan Braun was ADR #1 but he didn’t go until 4th or 5th in our league. Ian Kinsler: (Yahoo #20, ADR #23). With the 24th pick, I really wanted Curtis Granderson, who was a bit undervalued (Yahoo ranked #22 but 6th best player in 2011), but he got snagged just before I picked. Kinsler was highest guy on the board and was the natural pick. I’ve had Kinsler before and he’s always a solid, mid 20s producer with some consistency. He was hurt in 2010 but in 2009 was a top 10 player. Lets hope for a similar season. 2B is thin (even more so with Chase Utley‘s injury), so I didn’t mind getting a halfway decent one this high. Giancarlo Stanton: (Yahoo #25, ADR #26): With the 25th pick, I reached a little bit for Stanton. I didn’t want to go with slighly higher ranked guys like Mark Teixeira and certainly not Hanley Ramirez (who Itook #2 overall last year and absolutely killed my team). Cliff Lee (Yahoo #24) should have been there but was drafted incredibly early by one of the new guys in the league. So, faced with a slew of positional guys after Stanton on the Yahoo chart who all under performed last year (Beltre, McCutchen, Wright) and therefore were not worth the draft position, I took a gamble on Stanton. Personally I think this guy is going to be one of the biggest names in the game; a 45 homer guy who helps bring his team back to relevance. Unfortunately I wasn’t aware that he’s been dinged up in Spring Training and now may miss opening day. That’s not good drafting. But i’d rather have him and miss a couple weeks than be frustrated with an injury prone guy. Cole Hamels: (Yahoo #32, ADR #29): After 22 more picks, drafting with the 48th and 49th overall pick I was stunned to see two NL heavyweight starters sitting there available for the taking. According to ADR both these guys should have been long gone. Lincecum struggled last year clearly, but Hamels overperformed based on his Yahoo ranking (#21 performer in 2011) and fit my profile of an NL starter with good stats. No argument here; I took the two leading starters available. Its like a repeat of 2011: I had both these starters last year and I’m looking forward to having them both again this year. Brett Lawrie (Yahoo #45, ADR #53): With the 72nd overall pick I again got great value in Lawrie. At this point I had not drafted either a 3B or a 1B, having missed out on the first couple of tiers of both. I had a 1B targeted (see pick #8) so I went for an upside pick. Lawrie had 9 homers in just 150 ABs in 2011 and based on his minor league production he seems set to be a monster hitter in this league. Based on who was left on the board at that position at this time (Mark Reynolds, David Frese, Martin Prado) I went with the best available guy. That being said, Lawrie is a risk. I’m slightly worried that 2 of my top 4 hitters are relatively young guys who could go south; this strategy failed me last year (when Jason Heyward and Pedro Alvarez both underperformed so badly that I had to drop them). Alex Gordon; (Yahoo #66, ADR #61): Right after Lawrie with the 73rd overall pick, I was scanning down the available hitters, with an eye on 2011 performance, I was amazed again to find a near top 20 guy from last year. Gordon was ranked #23 in 2011 performance but was still on the board. I grabbed him. 23 Homers, 87 rbi along with 17 steals and I think this is a halfway decent pick. He takes my last OF spot. Lance Berkman: (Yahoo #86, ADR #95); With the 96th pick I nabbed Berkman. Waiting until the 8th round to find a first baseman is not usually a good strategy … but it has served me well in the past. Instead of overpaying for one of the top 1Bs, I like to wait and get nearly as good a player but many rounds below. Last year it was Paul Konerko (who I would have loved to get again but Jamos snapped him up a few rounds earlier) so this year I targeted Berkman. Another undervalued pick (his 2011 yahoo ranking: 32) who qualifies at both OF and 1B but who will be playing the far less taxing 1B position fulltime in 2012. Because of this shift to the infield, i’m hoping for a healther season and more ABs. Berkman proved last year he can still hit, and with a relatively decent lineup still around him he should still see pitches to hit despite the Cardinals losing Pujols. 31 homers last year in just 488 ABs; he could broach 40 if he gets 600 Abs like he should. Jimmy Rollins: (Yahoo #73, ADR #88). 97th overall, still continuing to get value. Rollins isn’t the best SS out there, but by the 9th round he’s as good as you’re going to get. He was a decent producer in 2011 but is a far cry from his 2007-2009 numbers (when in consecutive seasons he was the 5th, 9th and 12th ranked fantasy player). He has some power, 30 SB capability and a decent bat. With the Phillies injury concerns, perhaps more RBI opportunities will fall to Rollins. Joe Mauer (Yahoo #95, ADR #82). At the 120th pick, I was missing two positional players: a catcher and a utility guy. I’ve been burned in the past drafting catchers too high, and frankly am happy to roll the dice with the recovering Mauer. Mauer has positional flexibility of qualifying for 1B if needed but what I really need is for him to be in the lineup and hitting. If Mauer returns anywhere close to his 2009 form (#12 fantasy producer) this will be the steal of the draft. Josh Johnson (Yahoo #101, ADR #99). More value, but also more risk, with the #121 pick. Johnson fits my profile of high K NL starters … but of course is coming off of a major arm injury. Is he ready to go? If he’s healthy, this is a 4th or 5th round talent way down in the 11th. If not … well there’s always the waiver wire. Drew Stubbs: (Yahoo #92, ADR #79). With the 144th pick I needed one last hitter to supplement my bench and noticed the huge number of SBs that Stubbs had last year (40). He was decently ranked for value and I think this is a pretty decent pick. The ADR of 79 probably is skewed higher because in a 5×5 league steals are more important. But Steals are important here as well, and looking at this team i’ve got a ton of them. Big fan of this pick here. Mike Adams. Pick #145 and the beginning of my main 2012 strategy; focus on setup guys who get holds and have good peripherals. By the 13th round the top Holds guys from 2011 (Clippard, Venters, Robinson, and Marshall) were all gone; I was most disappointed to have missed on Robinson in particular, who went just a few picks before I went. I grabbed Adams as the best holds guy available. (note from here on out I won’t bother with Yahoo ranks or ADRs for Holds guys since they doesn’t make any sense). Ricky Romero: (Yahoo #109, ADR #86): At this point in the draft I was targeting a few more starters and a few more setup guys and went for best players available. but getting a guy of Romero’s caliber with the 168th pick is great. Romero isn’t entirely my kind of starter; he’s AL, and more importantly he’s AL East. But his K/9 is improved and he’s a good pitcher on a team that will get wins. He had 15 wins last year with a sub 3.00 ERA; imagine if he pitched in the NL. Regardless, he’s a good pickup at this point in the draft. Francisco Rodriguez: I like K-Rod because, well, if Milwaukee’s closer (John Axford) falters or gets hurt, suddenly I’ve got a pretty good closer getting saves. As it stands, Rodriguez will get a ton of Hold opportunities and has all the incidentals I want in a back-end reliever (good K/9, good holds from 2011). The only downside on him is his ERA; its a bit high for an 8th inning guy. 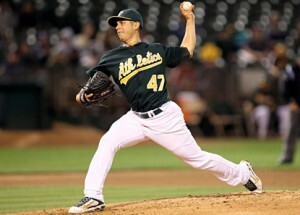 Fernando Salas: Salas was St. Louis’ closer for most of 2011 but got demoted after a couple of blown saves in August. He didn’t get demoted because his numbers were bad; in fact his 2011 numbers were great. Unfortunately for Salas, Jason Motte lit it up in the post season and enters 2012 with the job clearly in hand. Which means, like Rodriguez, he’ll get save opportunities as the former closer and would be the presumptive replacement in case of injury or ineffectiveness. Jeremy Hellickson (Yahoo #183, ADR #127); Going against my better judgement, I picked up yet another AL East pitcher, but once again went for value. Hellickson was my 193rd pick and despite being Yahoo ranked 183, he was 86th in performance in 2011. Lots of people think Hellickson will regress in 2012 because of his amazingly low BABIP (.223 in 2011). However not all of Hellickson’s BABIP variation is attributed to “luck;” He’s a flyball pitcher. And flyball pitchers will have more of their balls in play caught, keeping BABIP low. Hellickson had only 35% of balls in play be grounders in 2011. Roy Halladay, by way of comparison, has been 50% or more groundballs every year of his career. Where this should be catching up to Hellickson is in homers given up (more fly balls should lead to more homers), but his home ballpark helps. Either way. I’ll take him with the 193rd pick. Mark Melancon: Another deposed closer in Melancon, who got 20 saves for Houston last year but joins Boston as the presumptive 8th inning guy behind Andrew Bailey. Remember; Bailey missed 2 months in 2011 with a forearm strain; Melancon ably fits into the closer spot. This pick may be affected by recent news that Daniel Bard will be returning to the bullpen, but holds guys don’t have to be 8th inning guys. Greg Holland: What a find here; Holland has fantastic numbers and could be another steal since KC closer Soria has blown out his elbow. I don’t think Holland gets the call as the closer immediately, but if new acquisition Broxton doesn’t step up Holland will. Alexi Ogando (Yahoo #227, ADP #208); Looking for two more starters I went for best names on the board. Ogando may not be the best but he’ll get Ks and he has a big arm. And at the 240th pick of the night I’m happy to get a 13 game winner on a playoff team. Josh Collmenter (Yahoo #312, ADP #305): I don’t understand why Collmenter is so low; he plays in the weaker NL West, is in the NL, and won 10 games with good numbers last year (#140 ranked yahoo fantasy in 2011). 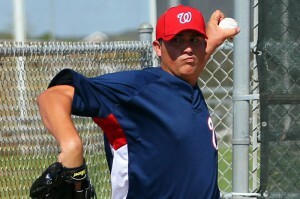 Oh; just found out why; he’s got a 14.00 ERA in Spring Training thus far. Ouch. We’ll keep an eye on his first couple starts (perhaps sitting him if he’s going against a touch lineup) and see how he goes. Hitters: I’ve got a ton of power, but also a ton of SB capability. Kemp is 40/40 guy, Kinsler and Lawrie project to be 30/30 and Gordon a 20/20 guy. Rollins and Stubbs both get a ton of steals. I’ve got 5 guys with 30+ homer capability. Homers lead to runs and RBIs. What may hurt me is AVG and OPS: Kinsler, Stanton and Stubbs all seem to be .250 hitters. Rollins and Stubbs both are < .800 OPS guys. So we’ll take the good with the bad. But I do like my hitters. Pitchers: I’m less liking my starters versus what I had last year. I have three good NL guns but then have three #2/#3 AL starters. And I have a big injury risk in Johnson to go with spring dismal performances out of Collmenter. I may be playing some waiver wire games. The middle relief/holds strategy should be interesting; with a transaction limit in place we’re going to have to monitor the 5 RPs closely. I’m not after saves (clearly; having not drafted a single closer) but I wouldn’t mind getting a few here and there. I have tried the no-closer route in the past; it didn’t work exactly as I wanted. I had too many mediocre starters and got killed in ERA and WHIP. This time around is slightly different; by focusing on middle relievers who generally have great stats, I’m hoping to keep ERA and WHIP down and continually add Ks and holds. That’s your fantasy team. What do you think? Because it seems like half the team is nursing a strain or an injury or a cold. You can’t get ready for a 162-game season if you’re not getting ABs. Michael Morse has a grand total of 7 ABs this spring. Adam LaRoche? 8 Abs. Rick Ankiel? 6. That’s a big chunk of the presumed starting lineup for this team. Chien-Ming Wang probably will start the season on the DL as a precaution after straining a hamstring; good thing we havn’t traded John Lannan yet. Now we hear that Drew Storen has a cold. He’s only got 2 IP all spring! Of course we’ve gotten plenty of at bats for Ian Desmond to show us that he’s learned little from his late season improvements; he’s hitting .200 for the spring. On the bright side, the rest of the rotation seems to be doing ok. You never want to over-analyze spring training stats; players may go out one inning and work entirely on spotting their change up on the outside corner, not caring what the hitters do to the ball. If a hitter knows the same pitch is coming 4-5 times in a row, he’s gonna put a charge into it. Of course, that being said Gio Gonzalez has looked exceptional this spring, flashing more speed than had been previously reported and is pitching to a 1.42 era clip. And, the Nats do open up with two of the weaker teams in the league. They could very well take 2 of 3 from both Chicago and the Mets to come home 4-2 no matter who is batting. I read the book, several times over, digesting the analysis that Lewis offered for the success of the Athletics in the early 2000s, following the narrative of Billy Beane‘s rise from backup outfielder to advance scout and eventually the front office at such a young age and reading along for the primary story line revolving around the strategy employed during the infamous 2002 draft. I could not get over the distraction of so many parts of the story being purposely changed (changing Paul DePodesta‘s character to be the fictitiously named Peter Brand) or outright fabricated (the entire storyline involving Beane’s daughter). I’ll leave aside my primary criticism of the book in general; as I’ve stated in this space and in other forums, Lewis really did not discuss the fact that the 2002 Athletics were blessed with a quartet of starters that has only been matched a few times in the last 40 years or so, and they were a huge part of the team’s success. For me, yes the construction of the hitters on that team was unique and interesting, but that team doesn’t win 103 games without three starters who each posted a 125 ERA+ or (in some cases significantly) better. 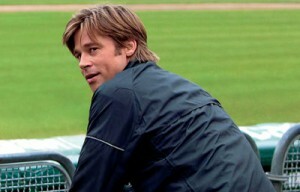 From a movie critique stand point, I thought Brad Pitt did a pretty good job of portraying the engimatic Billy Beane, if anything toning down the violent temper as it was portrayed in the book. Jonah Hill‘s portrayal of the DePodesto character was, to me, bland and lacking depth. I was really surprised to see him get an Oscar nomination for Best Supporting Actor frankly. The entire storyline in the movie about Beane getting into the fight with the head scout was completely manipulated from how it really happened; in the movie they were talking about free agents but in the book they were talking about amateur players during the 2002 draft. I suppose from a storyline perspective the conflict needed to occur when it did; a movie that was supposed to tell the tale of how Beane selected all these undervalued players in order to make the 2002 on-field team win wouldn’t really work if the primary conflict was about a bunch of 21yr old draftees that wouldn’t even feature in the majors (if at all) for 3-4 years onward. But as someone who knows the actual details, it made understanding the storyline that the movie was telling that much more difficult. In the end, my wife thought it was a “good movie” so its subsequent accolades seem in order. Hollywood can’t really make a movie that appeals to the fraction of 1% of baseball fans who read that book and understood its statistical analysis. You have to appeal to the masses for commercial success. But I found myself struggling to decide whether I thought the movie was “good” or not. It was entertaining. The actors were ok, I guess. I know many have criticized the Art Howe portrayal in the movie … but then again many criticized the portrayal of Howe in the book as well. Lewis seemed to belittle many people in the book as a way of playing up his primary character. But nothing about the movie really convinced me it was a seminal movie, that it was some great masterpiece of filmmaking that was worthy of an Oscar nomination for Best Picture. #1 Halladay Hudson Johnson Strasburg Santana? In the mix Blanton, Kendrick, Willis? Minor, Teheran Vazquez?Volstad, LeBlanc Lannan, Detwiler, Gorzelanny Young? Schwinden? 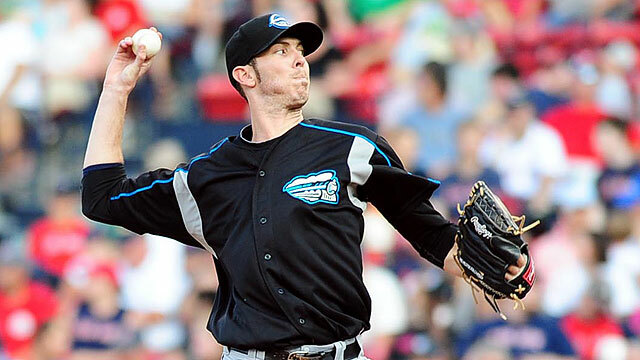 Philadelphia plans on replacing Roy Oswalt‘s 2011 starts with a call-up who looked pretty good last year in Worley. Joe Blanton looks like the odd-man out and his $8.5M salary may be wasted by virtue of an underrated but saavy acquisition of Joel Pineiro. The Oswalt trade didn’t give the team what it seeked (a World Series title) but it didn’t cost them a ton in prospects either (JA Happ didn’t exactly light it up for Houston). They’ve signed Dontrelle Willis for rotation depth. Still, you can’t argue with three Cy Young candidates at the top of your rotation, and this team remains the team to beat in the division despite injuries (Ryan Howard) and aging (every single projected starter not named Hunter Pence is 30 or older, and Pence will be 29). The pitching staff was #1 in ERA in the NL and I can’t imagine them dropping far from that. If Worley performs like he did in 2011, and if Pineiro returns to his St. Louis form, then this is just as tough a 1-5 as last year. Atlanta should have won the wild card last year and seems set to roll out a rather similar rotation this year. They’ll replace their worst starter Derek Lowe with starts from one of three up-and-coming rookies (I’ve got Delgado slated there now but likely Mike Minor wins the #5 spot in spring training) and should be improved. Hudson is a year older and hasn’t missed a start in 2 years, but is slow coming back from off-season back surgery and may or may not be ready for opeing day. The staff was #4 in the NL in team ERA and should do nothing but improve … but there’s some serious injury question marks. Their incredible SP minor league depth should get them through. Miami has a some major question marks, despite acquiring Mark Buehrle to slot into their #2 spot. They will cross their fingers on Josh Johnson; if he’s not healthy this team will be really hurt. Nolasco can be brilliant or awful from start to start. We still don’t know if Vazquez is retiring or returning; my initial guess would have been that he was too good in 2011 (3.69 era, 106 era+) and too young (reportedly 34 but i’ve never heard of any age-questioning here) to retire. To provide cover though, the team traded for the volatile but possibly still talented Carlos Zambrano to slot in at #5. Which Zambrano will they get? And will his notorious clubhouse antics gibe with new hot-head manager Ozzie Guillen? On paper, a 1-5 of Johnson, Buehrle, Nolasco, Sanchez and Zambrano spells an awful lot of power and a lot of Ks. They could be tough. They should improve on last year’s #10 team ERA ranking. Washington just got a lot better, replacing 29 mostly awful Livan Hernandez starts with a healthy Stephen Strasburg and likewise replacing 35 combined mediocre starts out of Jason Marquis and Tom Gorzelanny with newly acquired power lefty Gio Gonzalez and power righty Edwin Jackson. They were 6th in the NL in team ERA, have mostly the same bullpen in place (5th best in the league in ERA in 2011) and seem set to improve. Chien-Ming Wang seems set for the #5 spot, leaving John Lannan potentially being the most expensive pitcher in Syracuse. The jeopardy the team now has is an utter lack of starting pitching depth; Peacock and Milone WERE our 2012 rotational safety nets; now we have just Detwiler, Gorzelanny and a couple guys who clearly seem to be AAA starters. For this reason the team probably keeps Lannan around with the eventual goal of having him provide cover until our next wave of high-end pitching prospects develop. Either way, this rotation and bullpen look to be improved from 2011. New York faces a grim 2012, not only in the rotation but also in the front office. We’re hearing reports that Johan Santana is still too hurt to make opening day (though he’s since spelled some of these concerns with his first spring training outing). Converted knuckleballer R.A. Dickey spent his off-season in a nasty fight with management over his charity climb of Mt. Kilimanjaro. All their other starters posted ERAs in the mid to upper 4’s (or worse) with ERA+ figures in the 78-82 range. And there doesn’t seem to be help coming on the Free Agency front (since the team can’t afford to keep operations running without bank loans) or on the prospect front (a quick glance at their AAA and AA starting talent resulted in ONE starter who had a minor league era in the respectable range, an 18th rounder in AA). I think this team is finishing dead last in 2012 and may lose 100 games despite their payroll. And to add insult to injury, the owners were just forced to cough up $83 million in a pre-trial settlement over their Madhoff scandal involvement. Tough times are ahead for the Mets. What do you guys think? In terms of Washington, more than a few pundits have stated that the addition of Gonzalez makes the Nats a wild card contender, right now, and that was before the Jackson move finally brought some plaudits from typically cynical national baseball writers when considering signings by this franchise. Do you think the Nats have now supplanted the Braves as having the 2nd best rotation in the division (as ESPN’s Buster Olney is opining?) I think they have; I think Atlanta’s starters may be taking a slight step back while our quintet looks to be a solid, young but relatively experienced core. Here’s Tom Boswell‘s weekly Monday chat from 3/5/12. Of the baseball questions he took, here’s how I’d have answered them. While lots of questions pertained to the recent Gregg Williams “bounty” issues and whether or not the Redskins partook during his time here, the starting of spring training has got Nats fans pretty excited. Q: What do you think the Nats w/l record will be? Can they win 90 games? A: For a team that won 80 last year (though their pythagorean W/L record was slightly worse), I don’t think its a stretch to assume they can improve another 10 games. Mark Zuckerman did a nice little WAR analysis and showed that full seasons from Zimmerman, LaRoche and Strasburg, along with the new additions of Gonzalez and Jackson *should* give the team at least another 10 wins, perhaps a bit more. That’s assuming basically that everyone else performs at the same levels they did last year, and it assumes that the WAR stat directly translates to wins on the field. In reality, you have to plan for some people to step up while others step back. Can we assume that Morse will hit 30 homers again? Its a tough one to assume; he could break a leg and suddenly our offense is in tatters. That’s why I’ve been a bit more conservative, predicting 8 more wins for this team and have them at 88-74 with this squad. If the team is in the WC hunt, and they augment the offense, or if Harper comes up and produces … suddenly that’s a 90-91 win team. Boswell didn’t really answer this question, just went off on Strasburg tangents. Q: Who is your opening day starter? A: barring injury it has to be Strasburg. I think your initial 5-man rotation goes like this, in this order: Strasburg, Gonzalez, Zimmermann, Jackson and Wang. This gives you a decent righty-lefty matchup at the top. Perhaps you replace Wang with Lannan and have Jackson go out 5th to get a true R-L-R-L-R rotation. Or perhaps Davey Johnson doesn’t care about lefty/righty matchups. I’m more interested to see who the home opener starter is, since it happens 7 games into the season. Right now it looks to be Gonzalez, which would be great, but early season rain-outs can greatly affect rotation orders. Boswell says Strasburg but had a good caveat; if its 30 degrees and snowing in Chicago on opening day Strasburg probably won’t go. Q: Where is this team’s Lenny Dykstra-esque scrappy mean streak player? A: Honestly, the Mets-to-Nats comparisons may not ever bee 100%. I don’t see a Dykstra type on this roster. Mostly because this roster still does not have a center fielder/lead off type, which is exactly what Dykstra was. Boswell says that Werth may still fill this role. Q: Why didn’t the team keep Bixler and Nix? A: Bixler is a good question; for reasons unknown the team designated him for assignment in the off-season while still possessing 40-man room (inexplicably; they did this a number of times, losing Kimball at one point but also losing two decent players in the Rule 5 draft). Nix they probably thought was replaceable on the FA market … or at least obtainable for cheap. There does always seem to be a number of halfway decent corner outfielders on the market who are available for less than what Nix got. Boswell says Nix’s 2yr contract was the problem … the Nats want flexibility for 2014. No mention of Bixler. Q: If Tyler Clippard is our “MVP,” why isn’t he being paid more? A: Two reasons; clearly the questioner doesn’t understand the whole arbitration process. Just because Clippard is our best pitches doesn’t equate to him being the highest paid player. Veterans always make more than pre-arb guys; don’t forget the players belong to a Union, and Union members reward longevitiy. Secondly; Clippard unfortunately is a commodity player; he’s a non-closer reliever who doesn’t rack up saves and thus won’t ever be compensated like a Jonathan Papelbon or a Mariano Rivera, despite his value to the team. Its an unfair world in some respects, and I just hope that the Nats do him right and keep paying him while he’s productive for the team. Boswell mirrors my two thoughts but then also says that relievers are starting to become aware of newer stats like WPA that value Clippard highly (1st in the NL last year, above big name starters like Roy Halladay). Q: What are your thoughts on the extra wild card? A: Baseball purists may whine and complain, but the modern professional sports scene in this country, fortunately or unfortunately, places a ton of emphasis on playoffs versus regular season accomplishment. Even with these two additional WC teams, Baseball still has the fewest of its teams reaching the regular season of any of the four major sports. And, in a sport where payroll disparities may not determine the World Series victor every year they clearly help predict the playoff contendors (Yankees: one missed playoff appearance since 1994), having more teams in competition for the playoffs is good for the sport. Frankly I’d like to see Baseball go to a 32-team/8-division structure similar to the NFL and adopt the NFL’s exact playoff structure. The problem there is finding two more markets without cannibalizing the NY or LA market. Boswell says “time will tell,” but also admits that he hated the first WC round initially but likes it now. He also points out something I hadn’t thought of; the importance of your #3 starter with a new round of playoffs. 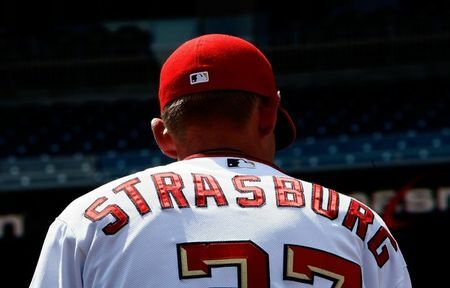 Q: Should the team just skip Strasburg’s start every few times to extend his 160IP limit until the end of the season? A: It isn’t a bad idea; Zimmermann skipped one start and hit his 160IPs at roughly September 1st. So skipping a few more starts for Strasburg would put him well into September. But I don’t think he’ll be served well by jacking around his days rest. Starters depend on getting into routines in order to pitch their best. Honestly I think this situation may very well play it self out naturally; even in 2010 Strasburg had two separate DL stints; if he spends 30 days or so on the DL at various times we’ll get a full season out of him. Boswell agrees with me on the not-skipping-a-start theory. Q: How secure is Ramos as the #1 catcher? A: I’d say he’s pretty secure. Flores may have had a good winter, but winter leagues aren’t exactly MLB quality. Flores’ injury history has more or less derailed his career, and that’s unfortunate. The team has found a solid #1 in Ramos and will stick with him, with Flores getting his typical 1 or 2 starts a week. The inclusion of Derek Norris in the Gonzalez package also spoke volumes about where this team thinks it is in terms of catcher depth, as does the 40-man addition of Maldonado, a journeyman catcher who now benefits from a distinct lack of upper-level minor league catcher depth. 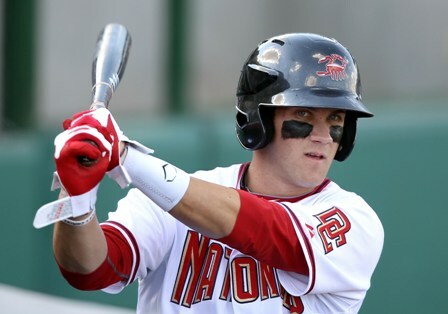 Look for the team to make catcher a focus in the 2012 draft to start back up the catcher pipeline. In the mean time, I doubt Flores will be trade bait even if he performs amazingly well, at least until we find another catcher in the wings. Boswell says Ramos is as #1 as any #1 can be. Q: Who are the best catchers ever? A: For a combination of defense, calling games, arm strength as well as offense, i’d go with Johnny Bench. But you also have to throw in Ivan Rodriguez in his prime. Mike Piazza was notoriously bad defensively. Jorge Posada was subpar defensively in his later years but was a monster bat. I’d include other names from the past few decades like Carlton Fisk. Before Fisk and Bench, there was a dearth of HoF inductees from the catcher position for some 30 years, to Yogi Berra who is probably the benchmark for all-around catchers (with Bench). Boswell says Bench as well, but mentions Varitek with Posada. Interesting. Q: What is the team going to do with Ian Desmond? A: I’d guess that 2012 is the make it or break it year for Desmond. If he’s hitting .220 at the all-star break without significant value proven at the SS position, the team may make a change. Move Espinosa to SS, install DeRosa as starting 2B, look to move Desmond and perhaps make Lombardozzi the utility guy. I also find it very interesting that Anthony Rendon is getting reps at both 2B and SS; if that kind of hitter can slot in at short stop on even an as-needed basis he could be even more of a dangerous prospect than he already is. Boswell agrees; this is a big year for Desmond. Q: If catcher is so important, why did we move Bryce Harper away from the position? A: one word: longevity. Yeah he was a catcher growing up but catchers get the crap beat out of them, have constant injury concerns, and the wear and tear of catching affects their hitting. With such a bat potential, he needs to be on the field and playing 162 games. That being said, I was slightly surprised that he didn’t at least try to stick at C for at least a little bit of his career … but understand the reasoning stated. Boswell said the same things I said, but added that scouts didn’t really think he was a natural catcher anyway, so he got moved to the OF quickly. Q: What would MLB’s response be to the same “bounty” scandal going on in the NFL? A: Hard one; its not like purposeful bean-balls without context are common in the MLB. And the game is just too random to purposely try to spike someone, or slide into them on purpose, or to purposely hit a catcher. These plays are so bang-bang and so naturally occurring to baseball players who have played all their lives that they’re hard to script. If it was found out to be happening? Long suspensions. Boswell thinks such a situation would be lifetime bans, if proven. Q: Strasburg has never pitched more than 7 innings, at any level, ever. Is this a concern? A: I have a hard time believing this, but won’t challenge the questioner since I’m not entirely in a position to go searching through the guy’s college career. Is it a concern? eh. Its modern baseball. No more 150 pitch games, no more 38 start seasons. Little leaguers have pitch count/innings limits, high school teams only play twice a week. College rotations you go once a week. I’d only be concerned if he showed any inclination of slowing down later in games, which he doesn’t. Boswell isn’t concerned. Why is baseball so intent on killing their international talent pools? 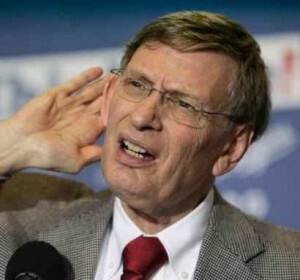 Bud Selig continues to push for an international draft. Why can’t he see what irrevocable damage this would do to the game of baseball?? The cause and effect of including Puerto Rico into the domestic rule-4 (aka amateur) draft is pretty clear; when the province (a former hotbed of baseball prospects) was added to the US draft, MLB teams no longer had any incentive to host baseball academies on the island, which then led to almost no money being sent to develop amateur players, which has led to a startling drop-off of talent being drafted out of the territory. If the same is done for the ENTIRETY of the world, what do you think will happen in developing baseball countries like Venezuela, Dominican Republic and the like? Every MLB team will close up shop, stop spending money to develop and scout players, and we’ll stop seeing the massive inflow of foreign talent. Its that simple. An international draft works in Basketball because it is far more of an international sport than Baseball; there’s significant pro leagues world wide and a massive interest in developing players. So there’s no need for NBA teams to setup basketball academies in places like Germany or Spain; they already exist and are funded by international amateur/olympic organizations. The same situation doesn’t exist in baseball, and our sport has already suffered for Selig’s blatant pandering to tight fisted owners. Clearly Jerry Reinsdorf was behind the limits of amateur bonus money negotiated into the last CBA and clearly is behind this international draft effort as well; for reasons unknown Reinsdorf and Selig are so myopic they cannot see the long term damage this will do to the sport: in order to save just a few million dollars here and there in signing bonuses they want to do billions of dollars in long term damage to the sport. How could we fix this issue, if an international draft was forced upon the sport? I’d be ok with an international draft if, somehow, the draft rules were modified so that teams that developed talent in their own private academies were somehow given the ability to keep their own talent. Perhaps a modified draft where international prospects were graded by independent talent evaluators and teams could burn one of their own amateur draft picks by taking one of their own? How about an expansion-type draft situation where teams could protect a number of players ahead of each amateur draft, and then at the end of each round they could protect one additional player?